Every year the same question comes up: what shall I give my husband for Valentine's Day? Because I am not earning that much money, my husband doesn't expect something expensive - and always when I ask him what he wants for Christmas / birthday / etc, there comes the same answer, "Nothing!". My husband doesn't like chocolate that much. If it is there, he eats it, but he would never go to the supermarket and buy chocolate for himself. 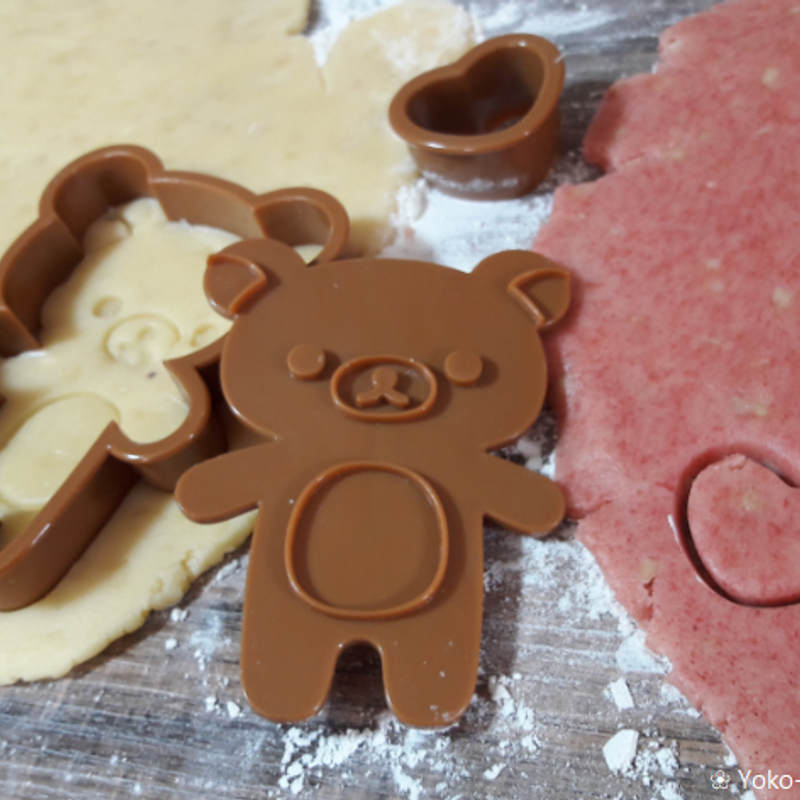 Last year I made some cute chocolates for him as a Valentine's gift, though. He liked it and ate them quickly, but this year I was thinking I should do something else. Just a few months ago I made many Christmas cookies. Too many actually, so I gave some to my friends and colleagues. And with this the idea was born! 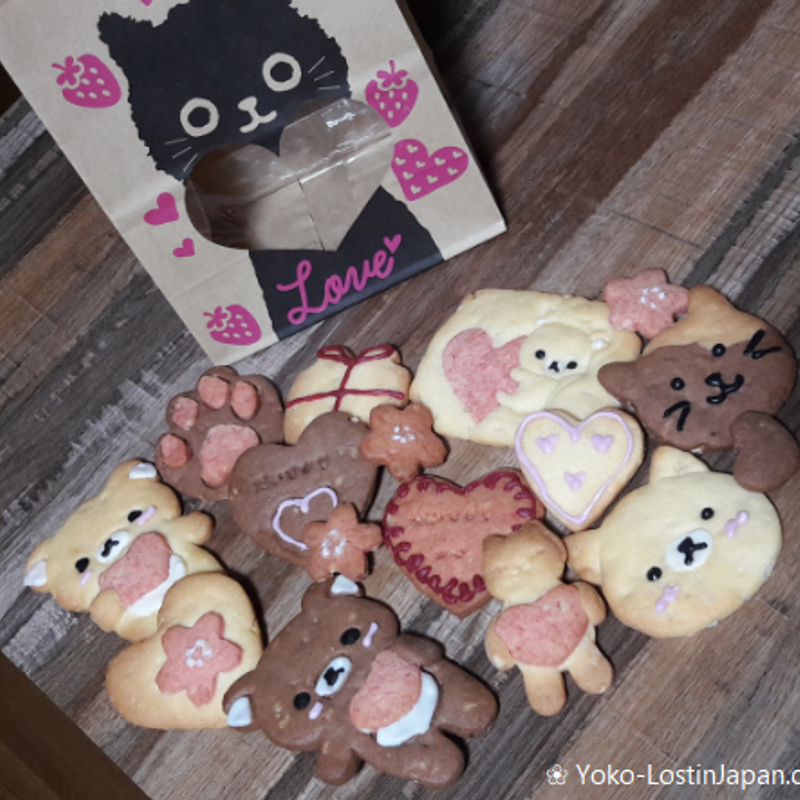 Together with my best friend in Japan we decided to have a Valentine's Baking Day to make some lovely cookies for our Japanese husbands. This day took place on Friday. I prepared the dough the evening before so we just needed to roll, cut, bake and decorate the cookies. The dough was pretty easy, just flour, eggs, butter, sugar, backing power and smashed almonds. The cookie cutters I have already been collecting for a while, so I have a big collection. 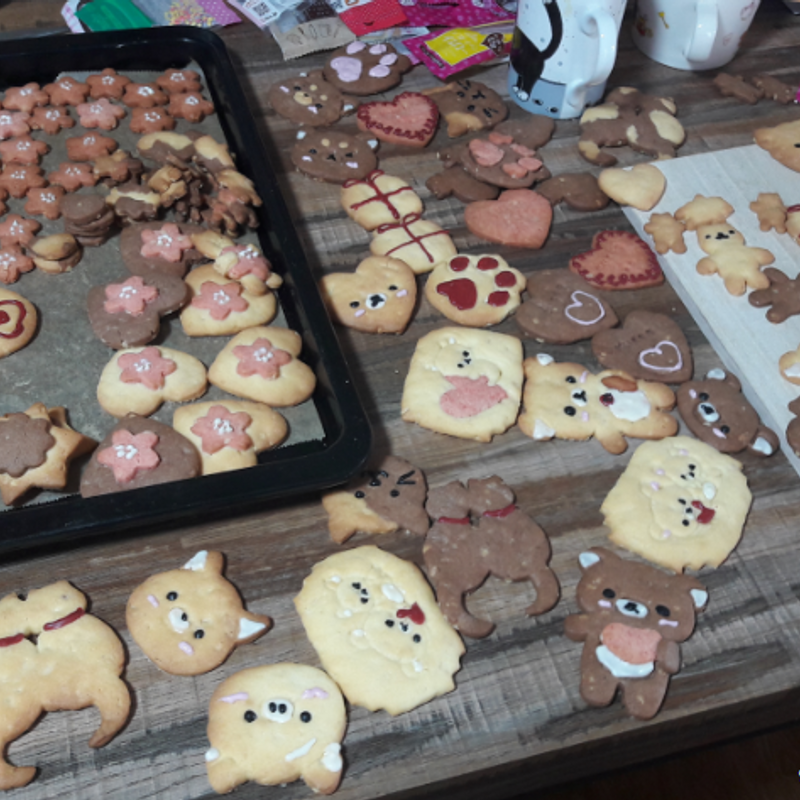 My husband likes Rilakkuma and cats, my friend’s husband likes Shiba-Inu and so we ended up making many cookies in this style. 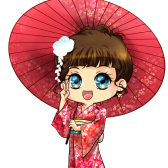 For sure, we also made hearts and, because spring is near, many cherry blossoms, too. For decoration we used simple chocolate pens which you can buy at 100 yen shops and in the supermarket. It took some hours to finish everything, but we got two boxes filled with cookies – one for each of us. Some of those I choose as a Valentine’s gift for my husband. The rest are for me, haha, and after Valentine’s Day my husband is also allowed to eat them. How about you? Are you giving any self-made presents on Valentine’s Day?